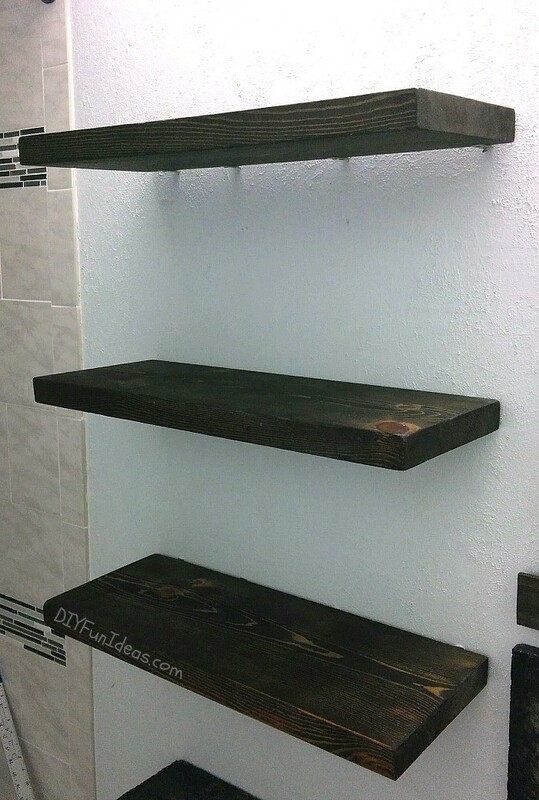 A premium DIY Storage look doesn’t always have to be expensive. 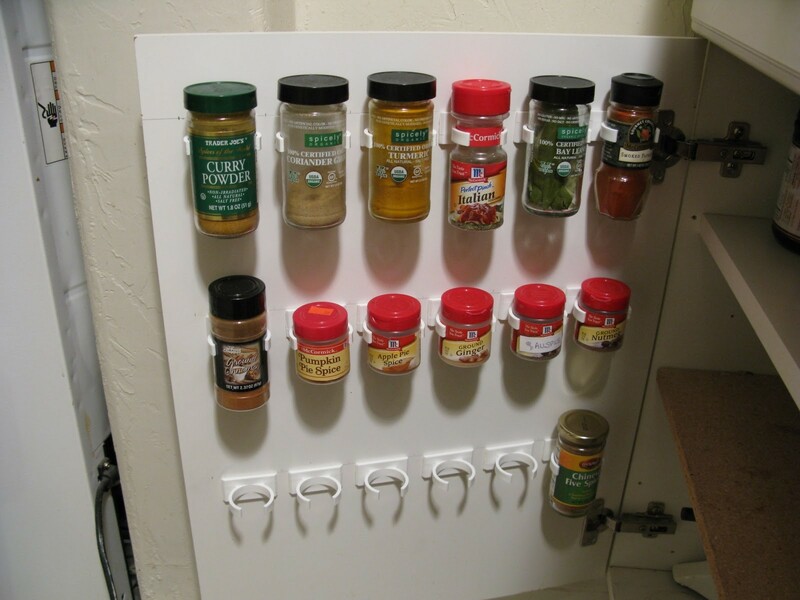 The line between cheap looking organization ideas and expensive is often thin. Which implies that you do not typically have to put in grueling effort to get a premium look. Often times, getting a different material with marginal cost difference, a different paint job, or a different type of styling may be the game changer. 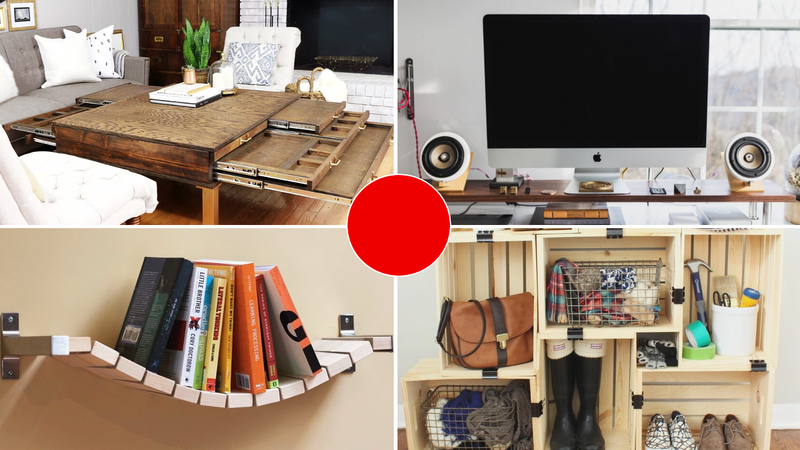 The idea with this project is to use few simple materials to build an organizer that could fit anywhere… literally. 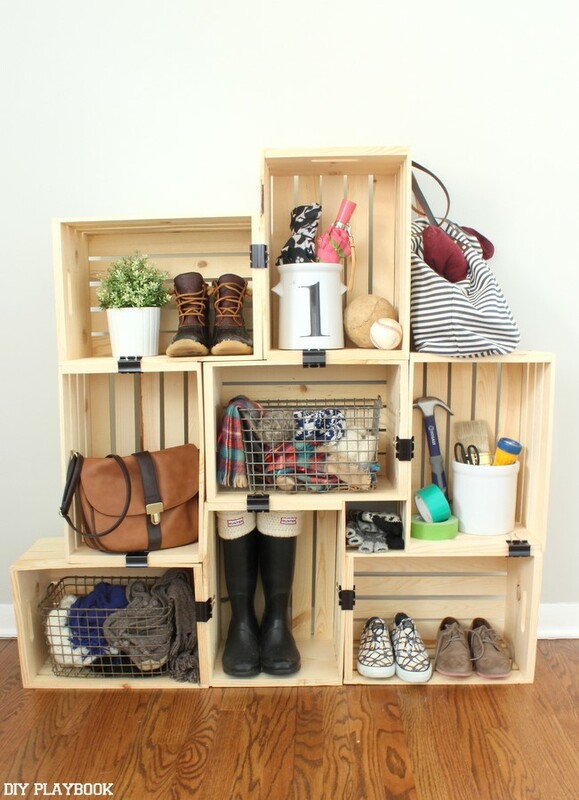 You only need wooden crates and binder clips to get it all set up. And then you let your creativity run wild with how you want to arrange the crates. How big, wide, or tall the crate storage would be. It is modular and easily customizable. You decide on what crate type, size, or style you’d use. The project image above is the bare, laid-back starting version of this project, which would take a couple minutes tops. But there’s no rule book that says you can’t spruce it up with paint, stains, and spray painting the binders with fun colors. And that’s when its beauty really blossoms and is undeniable. Before you continue your reading, I offer you this relevant video in case learning video gives you better experience than texts. That’s it, I hope you enjoy it. 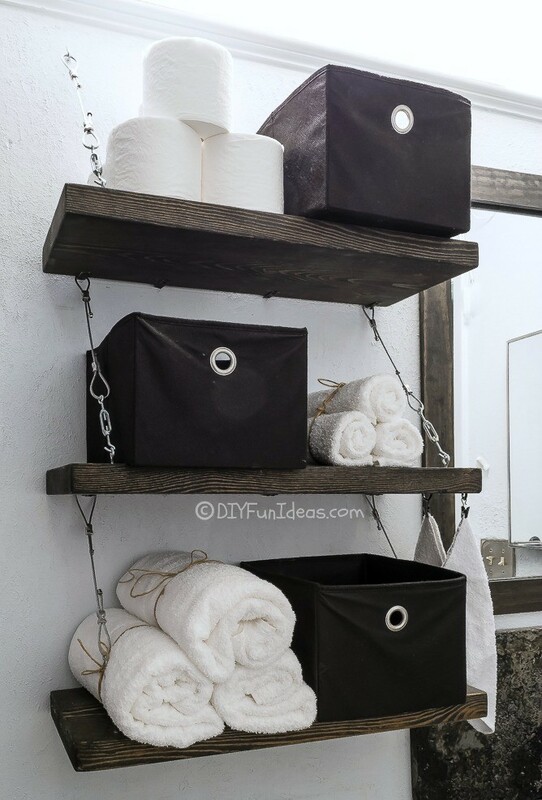 Whether it is the industrial look, the rustic shelves, or the steel hardware that does it for you, it’s hard to take your eyes off these suspension shelves. They have character. They look simple enough too, and for the most part, that is true. Making this happen doesn’t take a whole lot in time or cost. The steps may be a little drawn out but following them is very straightforward. 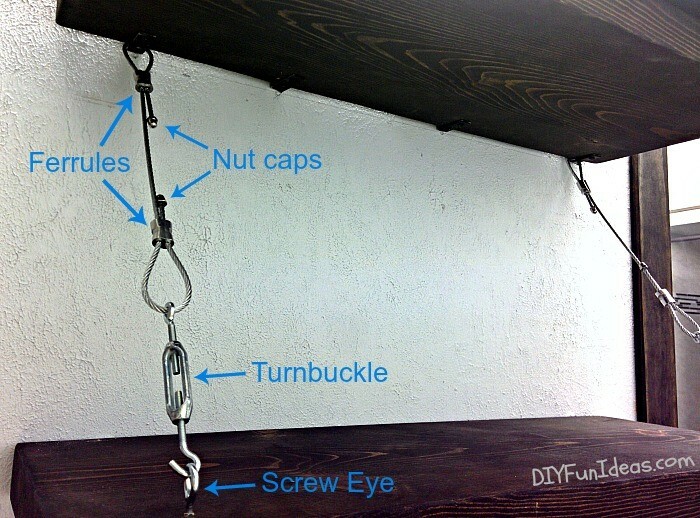 What you’re looking at is a basic setup of stained shelves attached to invisible brackets, which in turn are attached to the wall with drywall anchors. After which you install the steel suspension cables for added support. but the special thing about this idea is its versatile functionality. 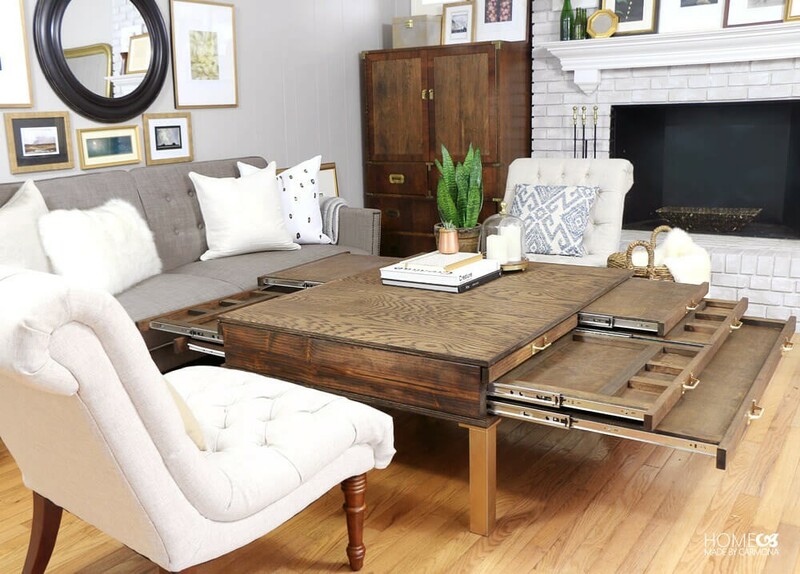 It nails the design and style, no doubt; but you aren’t going to get a more functional coffee table with its dimensions. Elegant and breathtakingly creative, this bookshelf is more about form than function. Which isn’t particularly negative with its striking style and appeal. The arrangement doesn’t have an adverse effect on the books either. As such, you’d have a solution that’d stand the test of time. 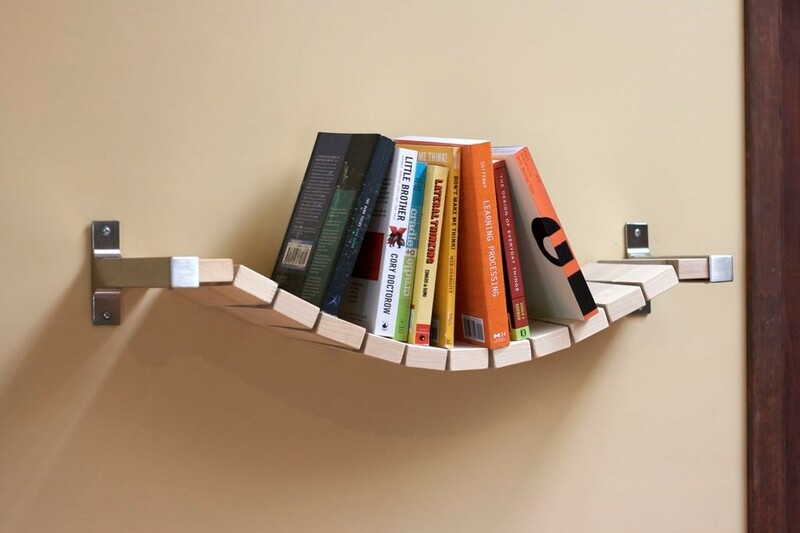 Even better, the rope bridge bookshelf uses only a few materials—a statlig board from IKEA chopped into similar-sized wood blocks, a parachord (with steel washers) to connect the boards together, and a shelf holder or brackets pair to attach the shelf to the wall. It is as easy as it sounds and the only hard parts are cutting the board and drilling holes in each wood block. The few, short steps are explicated here. Knife storage ideas aren’t hard to come by. There are many, and then you have different styles and what not. This particular knife storage idea is striking because of its simplicity. 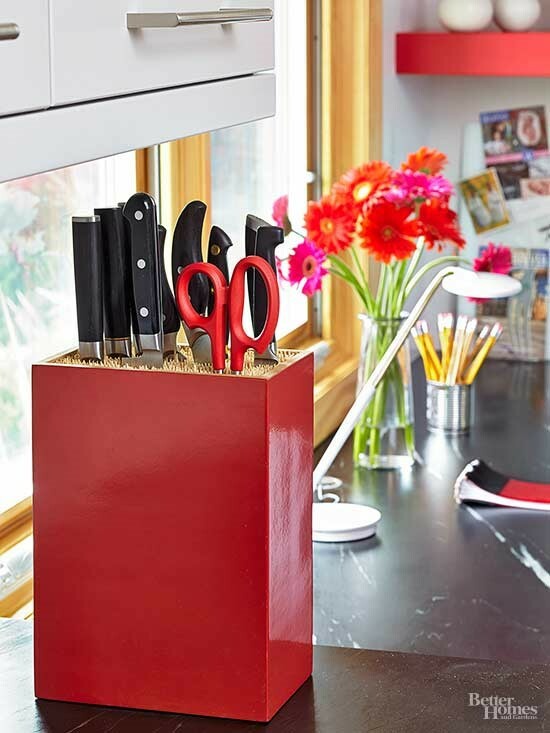 And like the best knife storage solutions, it keeps the blades (or other pointy kitchen tools) safely out of reach while they retain their sharpness. The project image depicts a box painted to match the kitchen décor, filled with small wood skewers loose enough for a blade to slide in effortlessly, but packed enough to keep the handles afloat/suspended. Yes, that’s all this project entails. You could use any container though, and the wood skewers don’t have to be of a particular size, as this alternative take shows. Simple, easy, and safe! 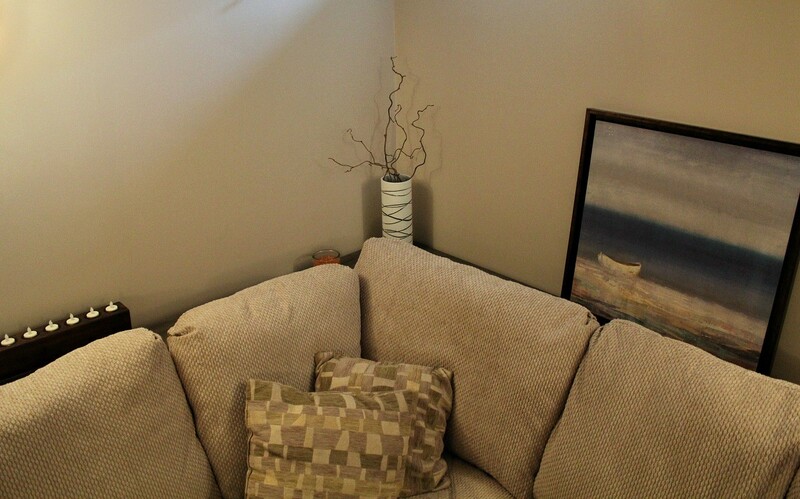 The idea behind having a slim, but long table behind the sofa is to have some sort of surface if a conventional table in the middle of the room isn’t a given. You can have both tho’. 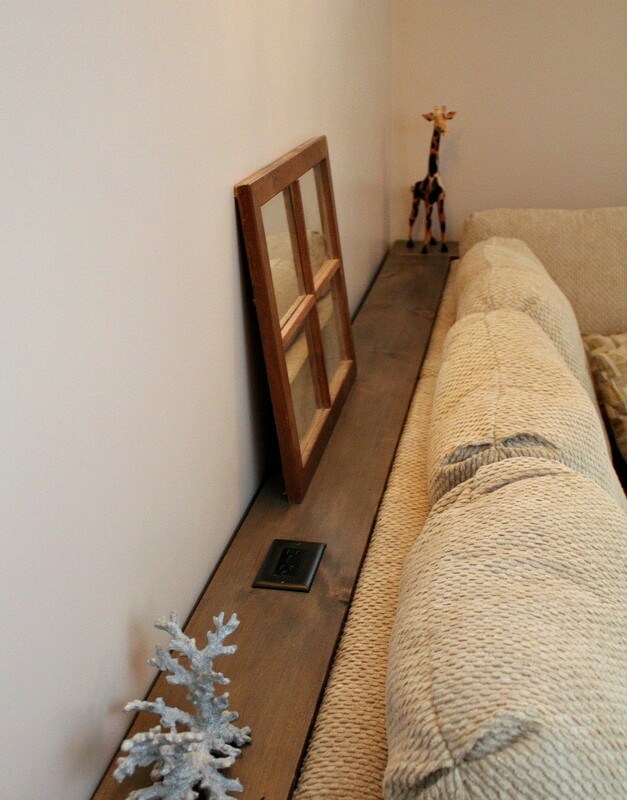 Still the sofa table would add an eccentric element to your space, especially since it can hold fancy decorative accessories; things like a glass, can, or plate; and even an outlet (it is important that the outlet/receptacle is GCFI or GFI compliant) that sits flush with the tabletop. The DIY is straightforward. And the hardest part is adding the legs and cross braces. 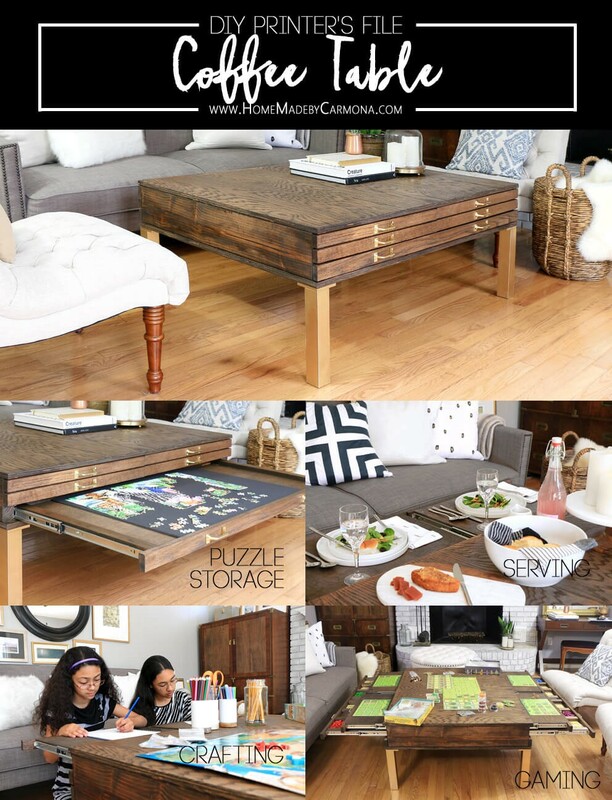 Once that’s done, you’d only have to stain the visible parts of the table, since it’d be behind the sofa; and add the outlet. Get all the details necessary to make yours in this guide. 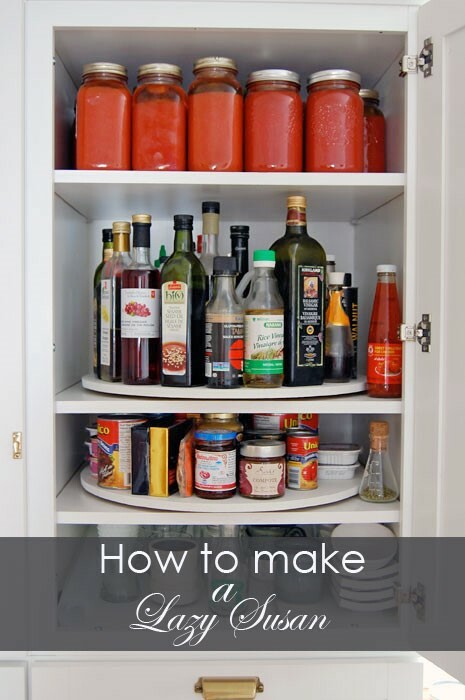 This idea isn’t the most flamboyant, but it is incredibly useful. Plus, you’d literally only need a few minutes to get one done. Now, about cord storage… It probably isn’t something you’ve thought about much. You could just toss ‘em away of site, or easily wrap your extension cord in a hook, or go the extra length to use a zip or cable tie to neatly arrange them. The last option allows you to organize them better. But it has one gripe, a zap tie isn’t reusable. This DIY solution is. The idea entails getting a synthetic wine cork (you can’t use a real cork, as putting a hole through them is a hard task—they crack and break under significant tension), drilling two holes through it, sliding a short [cut] bungee cord through both holes in a loop and knotting each open end. And there you go, you have a little tool you can use to secure stored cords, which you can take off and reuse any time with ease. 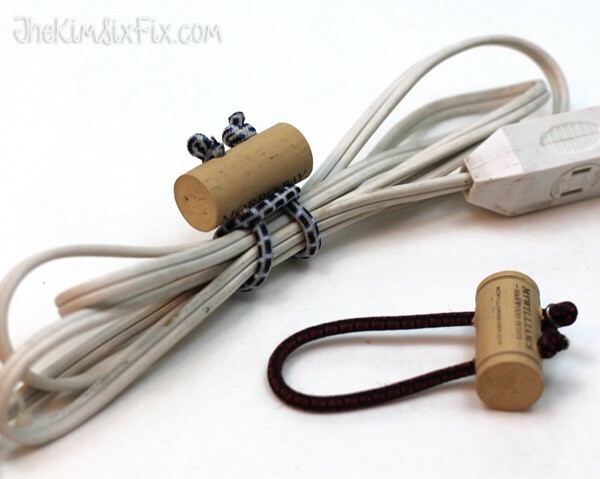 You can make as many cord ties as you need. Here’s the project guide. Looks cool, eh? It is basically a slab of treated quality wood mounted on four IKEA Capita legs. Talk about simplicity. 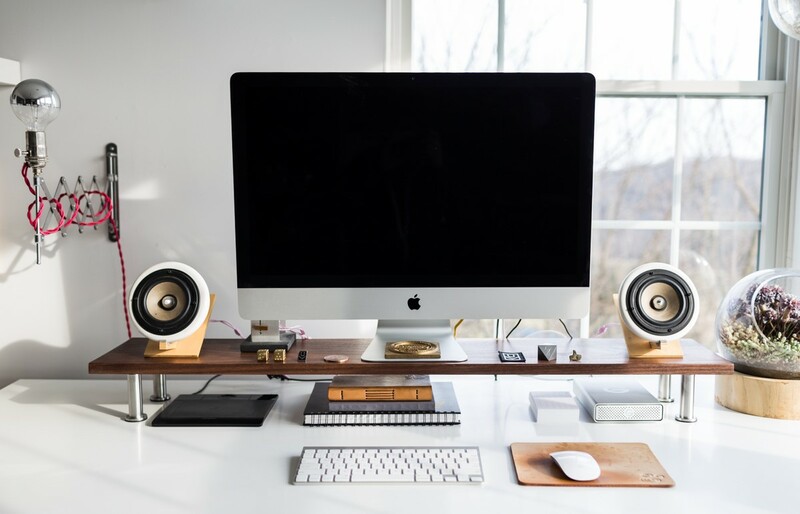 It doesn’t have to take a lot (in time or money) to make a gorgeous monitor stand. In this guide, where you’d find details on how the wood was treated, there are two versions—basic and premium. 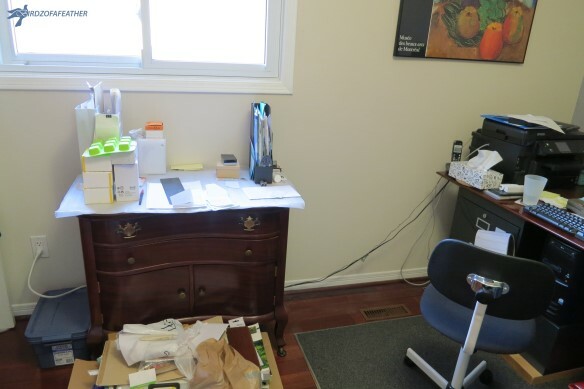 The basic version uses a stained IKEA Ekby Hemnes shelf, while the premium version (the one in the photo above) uses a more expensive-looking slab of American Black Walnut. They both sit on four IKEA Capita legs. 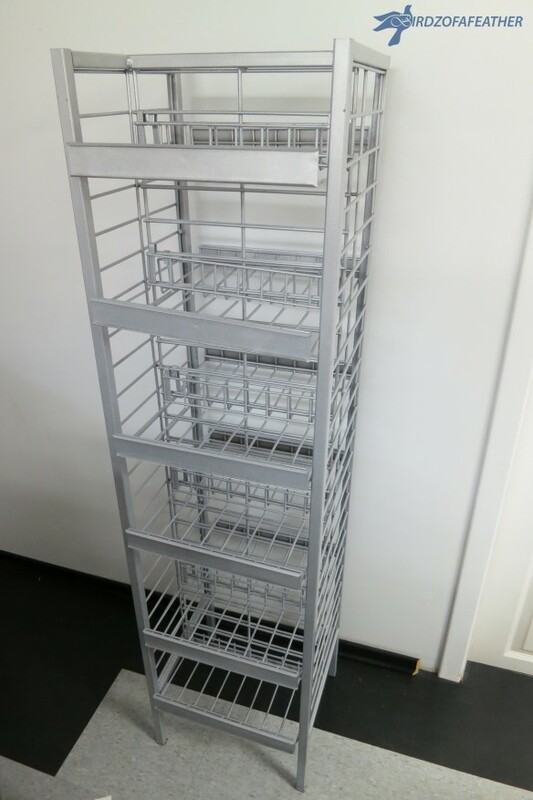 If you’re dealing with apprehensive level of clutter, you may want to get something like this metal rack to bring some level of organization. It wouldn’t make all your problems go away, but it does a good job of giving most things a home without it becoming an eyesore. 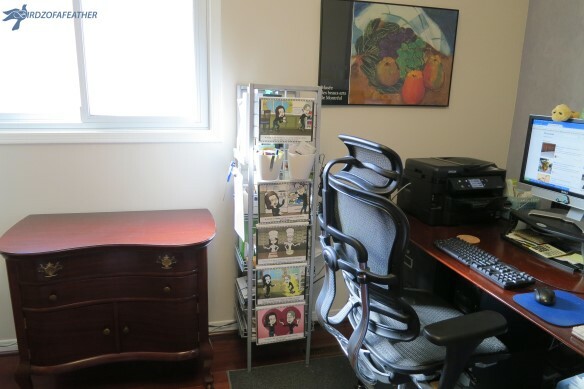 You’d need a few extra materials like printed cartoon canvasses and ‘S’-hooks for beatification and extra storage; but the highlight of this DIY is that you don’t need a lot of time or complex steps to get the most out of it. The project guide goes in depth on the process. This elegant idea is an all-in-one storage solution for your iron, ironing supplies, and ironing board. You’d do a bit of woodworking and staining, but it’s nothing you can’t handle even as a beginner. Having one organizer keep everything related to ironing in one location sounds (and looks) right. To get a background on the project, head on here ; and you can then go through the tutorial with all of the requisite steps, supplies, and pics. If you’re a huge fan of scarves, at some point you’ve thought about how best to organize them so they don’t become wrinkled or dingy from throwing them haphazardly in a drawer. 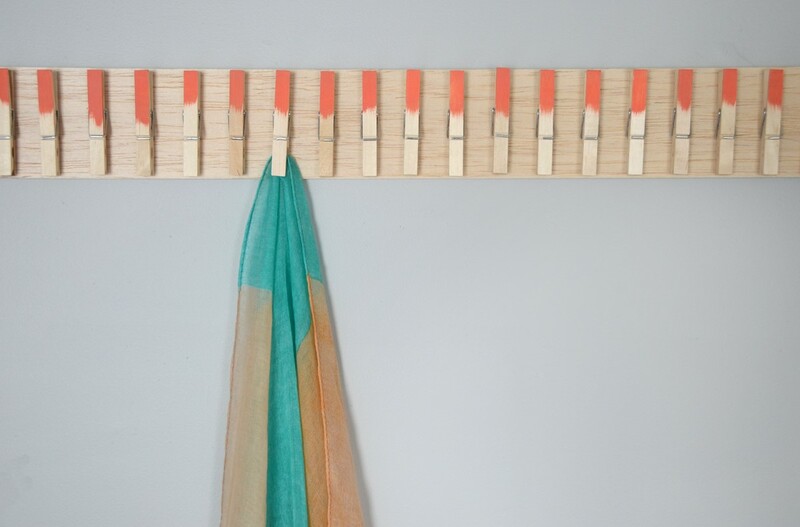 This clothespin holder is the perfect organizer for your scarves. The project simply involves using wood glue to attach equidistant clothespins to a slab of wood. After which you mount it on the wall with command adhesive strips (if you don’t have that many heavy winter scarves) or screws for a more secure fit. All relevant information and steps are in this guide. And Lastly.. Okay, lazy Susan’s don’t have the best of reputations, but it doesn’t mean they’re worthless. And when all it takes to make one as a DIY cost about a ten-spot, you may want to give it a go. The steps in the guide can be a little puzzling, but you should be able to get it done when you get down to it. These clip organizers have so little footprint that the stored jars look suspended. They’re easy to attach and are expandable (you could fit large jars) too. And although they come in rows, you can separate each individual clip, which you’d have to do for larger jars. For all of that though, the plastic clips (the ones in the pic above) are typically only perfect for plastic jars and have a relatively high failure rate. There’s plenty of information about that in the review pages of the SpiceStor and Bellemain clip strips. Thus, you’re better off paying extra for the steel variants from Spezia for example (aff link). More ideas related to this topic.